VIDEO TIMELINE: Democracy Now! 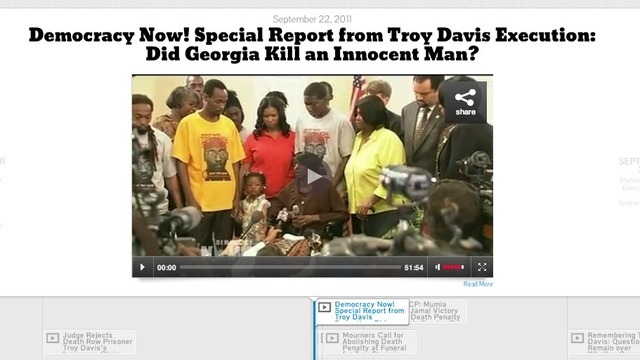 Reports on the Case of Troy Davis | Democracy Now! 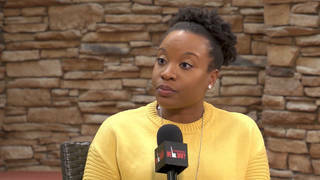 Use this interactive timeline to watch our reports on the case of Troy Anthony Davis, including interviews with his longtime advocate and older sister, Martina Correia, and our 6-hour broadcast when Georgia executed Davis on Sept. 21, 2011, despite major questions about his guilt in the 1989 of killing of off-duty police officer, Mark MacPhail. Davis maintained his innocence until his last breath.